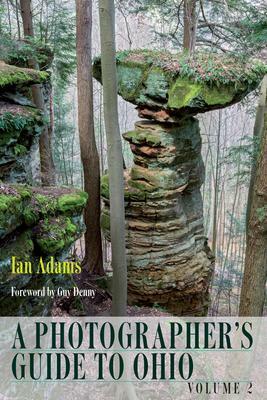 Ian Adams is perhaps the best-known landscape photographer in Ohio, and in the first volume of A Photographer's Guide to Ohio, he shared his knowledge of what to photograph in the Buckeye State and how to photograph it. Now, in this second volume, Adams expands on his previous work, adding over 120 natural features, scenic rivers and byways, zoos and public gardens, historic buildings and murals, and even winter lighting displays to the list of places to visit and photograph in Ohio. In addition to advice on photographing landscapes, he offers tips for capturing excellent images of butterflies and dragonflies. Comprehensive and concise, these two volumes make up a travel and photography guide to almost 300 of Ohio's most noteworthy and beautiful outdoor places. Ian Adams has twenty-one photography books and more than sixty-five Ohio calendars to his credit. He conducts nature and garden photography seminars, workshops, and slide programs throughout North America and teaches digital photography at Ohio State University's Agricultural Technical Institute in Wooster.